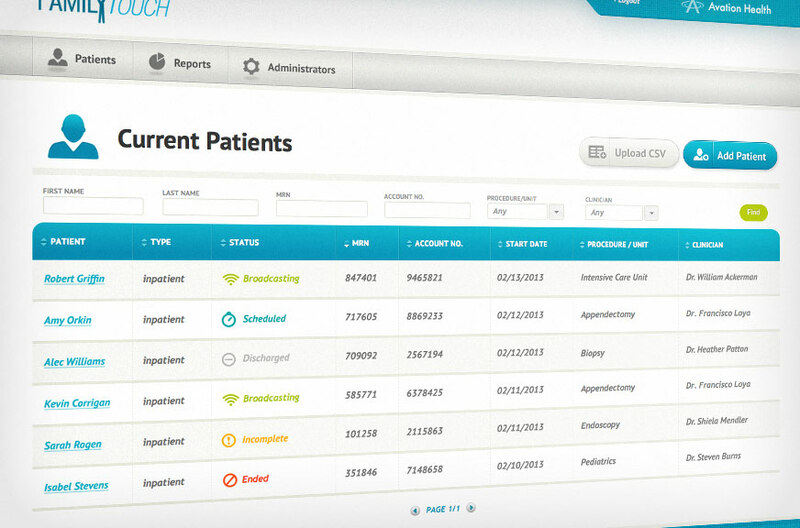 FamilyTouch® from Avation Health enables the hospital to provide frequent status updates to family members and friends during a patient’s operative procedure or inpatient stay using a technology that almost everyone has access to–text messages on a cellphone or smart phone. Details / We were approached by Avation Health and Foundeo, Inc. to design a UI for the medical application, FamilyTouch®. This innovative application will give medical staff the ability to communicate more effectively with family members of patients via regular text messages.